If I lived in Paris, I’d probably be a Susan. Yes Susan and not Suzette. 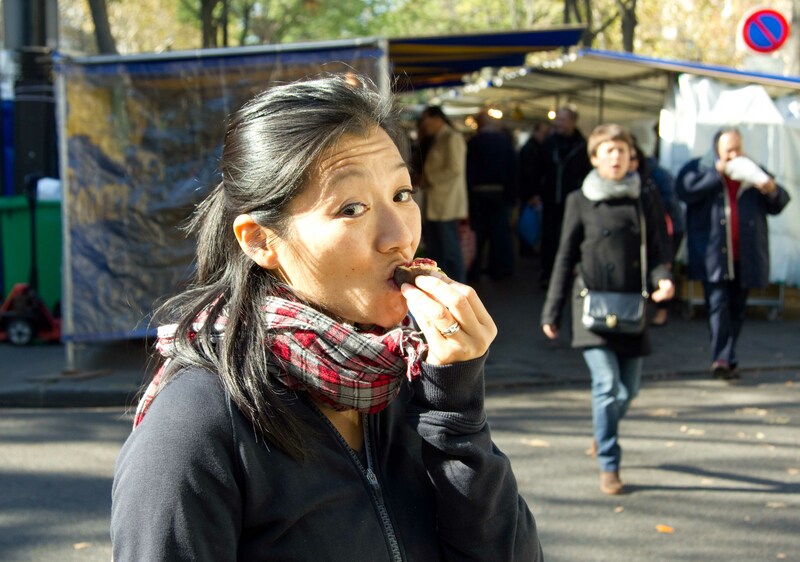 Slowing down and taking my face away from the camera is really the best way to enjoy Paris. 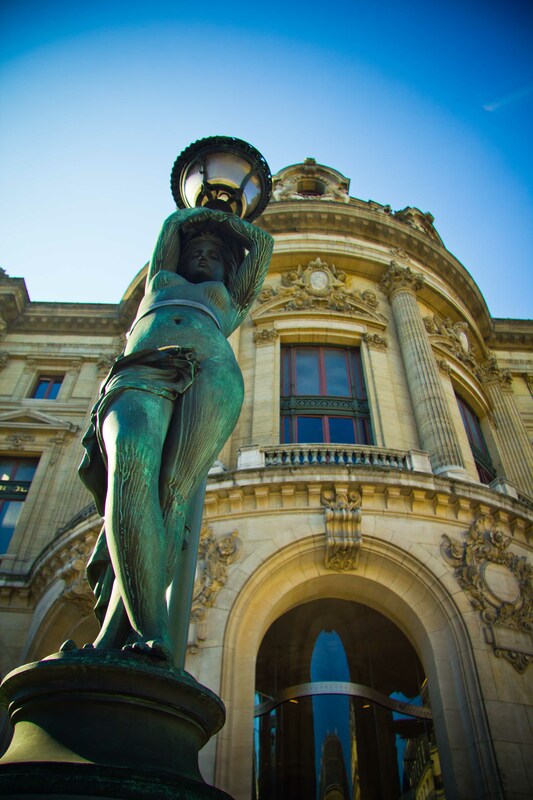 Unfortunately Paris is so beautiful, that I couldn’t help but bury my head behind the camera. Foie gras as a main course and not just an appetizer especially if it’s lying on top of a bed of buttery&creamy mashed potatoes crosses the line to the too indulgent side. 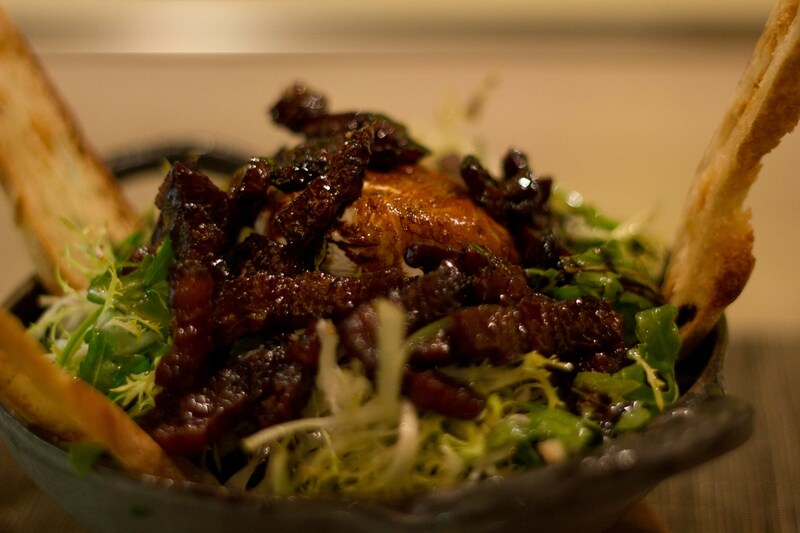 Frisée salad with lardons, (bacon) a softly poached egg and vinaigrette made from the bacon fat. This is not a “healthy” salad by any means. Rhubarb, when properly prepared can be very delicious. 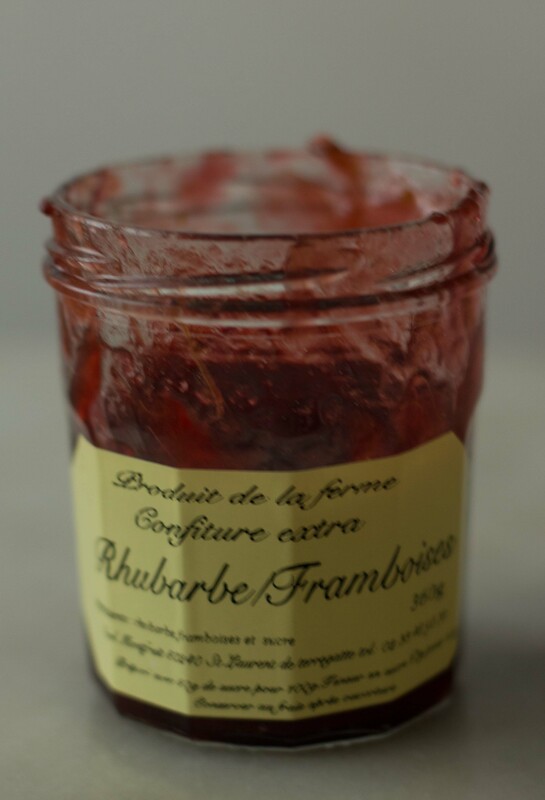 Procured from one of the markets, I had the choice of blackberry, raspberry and apricot jam. Rhubarb was my first choice rather than my last. Acting as the perfect vehicle for this wonderful jam were a great sampling of croissants from many of the bakeries surrounding my apartment. Although I had a list of what some thought were “the best” croissants of Paris, I have to admit that all of the ones I’d tried, they were all “the best”. 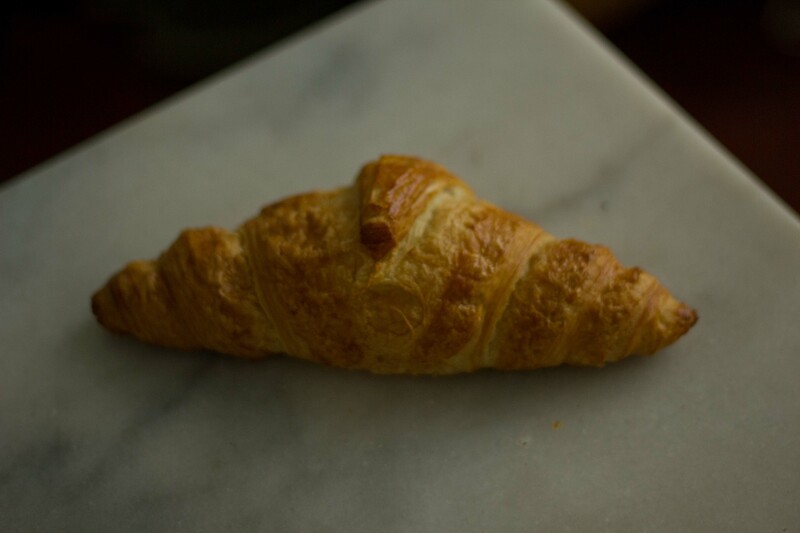 This croissant from Boulangerie Julien was one of the 6 different ones I’d tried. All so good and probably spoiled me against the ones at home for good. Although I did not live out my dream of eating a freshly shucked sea urchin in the market, I did sample in one at an oyster bar. 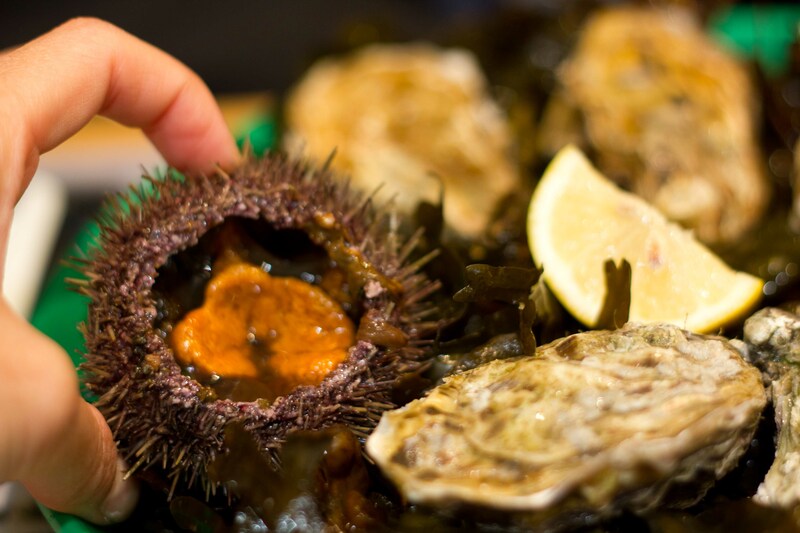 I’ve dreamt about sampling France’s sweet delicate briny oursin, but its small little lobes were a bit disappointing and no match to the robust West Coast sea urchins I’m used to eating. Being spoiled on things at home does not always mean they are the best. 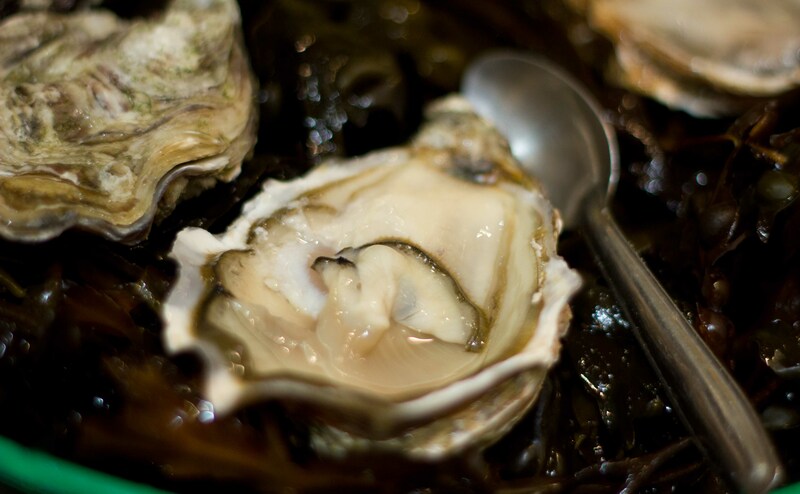 The Spéciales de Claires oysters from the southwest of France were sweet, succulent and tasted of the sea. I made a mental note to add the Southwest of France to my must go to list. Ok let’s be honest, all of France is on my “must spend more time in” list. No need for anything other than a light squeeze of lemon. These are complex on their own. I’ve heard 3 theories of why Parisians can eat so much fattiness but remain so slim. 1) they walk a lot more than North Americans. 2) they drink way less soda 3) they don’t snack between meals. I can see that Parisians do have a walking culture and that even if you take the metro to and from where you’re going, there’s no way in someone’s everyday life that they’d walk under a few kilometers per day. And I know for a fact at home that some people can walk under 200m in their day. The soda thing I get. It baffles me the amount of soda (=calories) that North Americans consume. But no snacking? How could you not snack on the wonderful pastries, cheeses, and chocolates all day? 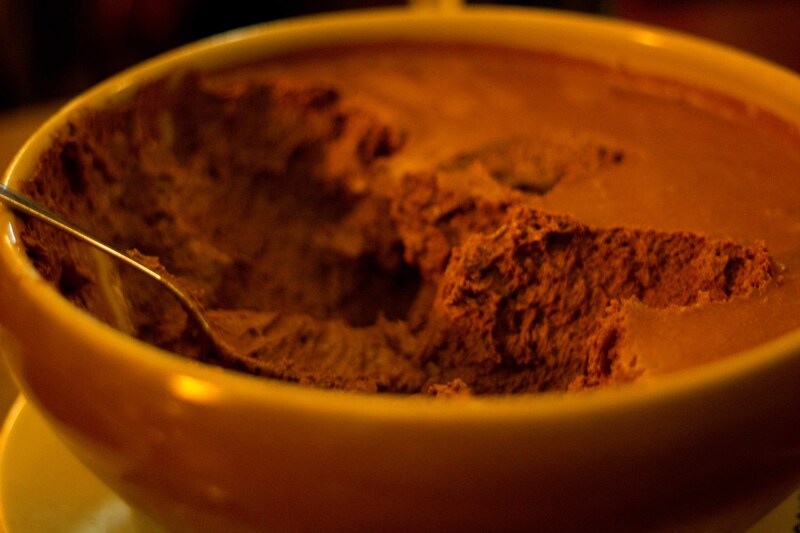 I was served this gigantic communal mixing bowl of chocolate mousse for dessert at the wonderfully boisterous Chez Janou. At home, people would probably help themselves to an Olive Garden sized portion. Here, people only took what they could eat, which was little more than a spoonful. How civilized. If the question is fashion or function, in my everyday life I choose function, (or more correctly comfort) 9 times out of 10. 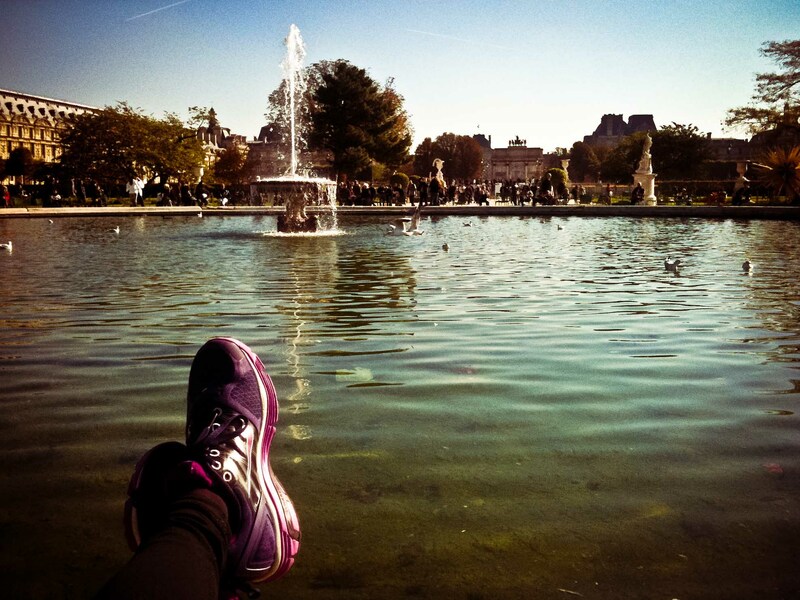 In Paris, I tried to choose fashion and traipsed around on my first few days in ballet flats, not wanting to look like a stupid tourist in my sneakers. Then I sufferred from sore hip and back. The question then became ballet flats and not walk around or sneakers and continue to explore. Of course I chose sneakers, much to the chagrin of my Vancouver-Parisian friend. French chefs often say that their food is (considered) the best in the world because they work with the best local ingredients in the world. From my sampling, I think they’re right. One last thing… One week in Paris is not enough.